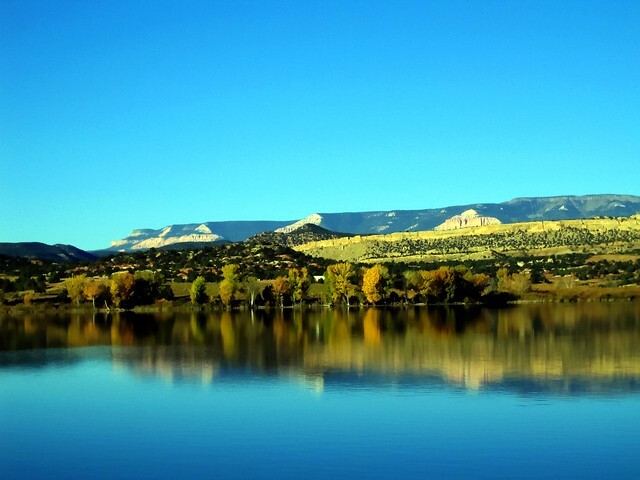 Located in the southern part of Utah and standing at 8,400 altitude high, Panguitch Lake is one of the most popular lakes in the country. The name which means “Big Fish” originated from Native Americans. It is strategically located near to some of the most popular attractions among local and foreign tourists including Zion National Park, Cedar Breaks National Monument, Bryce National Canyon Park and Grand Staircase Escalante National Monument. In visiting these tourist spots, you should definitely visit Panguitch Lake too. The lake is also located near Duck Creek Village and Brian Head. If you are searching for a perfect fishing spot, Panguitch Lake is the one of the best fishing spots to try. It features 10 mi. of shoreline which makes it a perfect spot for all year-round fishing activities. Fishing at Panguitch Lake allows you to fish some of the best catch. You can find the biggest rainbow trout and even other types of fish when you fish in summer. You can simply rent boats for a day on the lake with your buddies. What is nice in visiting Panguitch Lake is that there are lots of activities that you can do. It does not just revolve around fishing. Aside from fishing, you can try out a wide range of activities that suits your taste. Your choice will depend on what you want. Some of the activities that you can try include horseback riding, ATV riding, mountain hiking and hiking. You can even have an aerial tour as there is a local tour company that arranges such activity. Get an aerial view of the beautiful lake when you try the aerial tour. At Panguitch Lake, you can fish all year around even during winter. In this season, you can actually enjoy winter ice fishing. It is considered to be a very popular sport. In addition to this activity, you can also try out other activities like snowshoeing, cross-country and snowmobiling. The lake is just a short drive away and it is perfect for winter skiing and mountain biking. But just before you finally head to Panguitch Lake and try out the different activities, it is strongly recommended that you check the weather reports first so you can be sure that the weather is favorable. Vegas and St. George can enjoy driving up to the mountain. There are also tourists who would want to reach the peak which stands at 11,307 ft. high. When you go to the peak, you get to see the forest service cabin which was created way back in 1934-1935. There are so many things to see when you go to the peak and the travel is quite simple. While you are traveling to Brian Head Peak, you get to enjoy the amazing views. At the peak, you get to see Utah, Arizona and Nevada.